Myanmar has begun exporting rice to Kenya, a major east African trade hub. SPECIAL Economic Zones (SEZs) in Myanmar should encourage policy experimentation and focus on tech spillovers, an economist told The Myanmar Times. By early June, 95 percent of the land plots in Thilawa SEZ zone A had been sold and the building of manufacturing plants is ongoing, while zone B is already under construction. Thailand is preparing to receive people fleeing fighting in Myanmar and send them back “when they are ready”, the prime minister said on Tuesday, following a series of attacks by Rohingya Muslim insurgents on Myanmar security forces last week. The Samsung Galaxy Note 8, which was launched in the United States on August 23, will hit the Myanmar market in September. U Wang Yu, the Managing Director of Myanmar based Shwe Naung Yan Company, who is also a member of the Union of Myanmar Federation of Chambers of Commerce and Industry (UMFCCI), visited Dimapur. Family businesses are key to Myanmar’s economy, generating thousands of jobs and contributing significantly to the country’s economic growth. Based on a report by the International Finance Corporation (IFC), a member of the World Bank Group, family-owned businesses account for 83 percent of companies in Myanmar. Britain has asked for the U.N. Security Council to meet on Wednesday to discuss escalating deadly violence between Rohingya insurgents and Myanmar security forces in Rakhine state, Britain’s U.N. Ambassador Matthew Rycroft said on Tuesday. 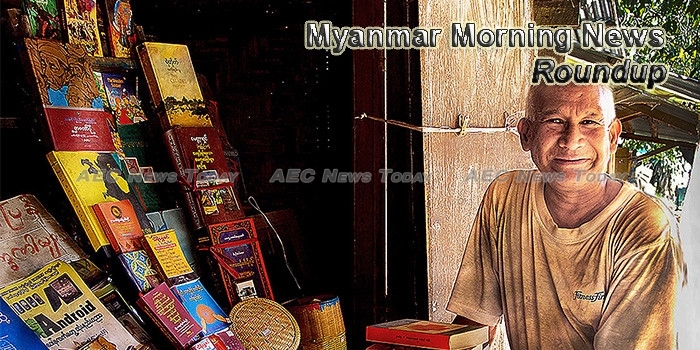 Myanmar’s economy is projected by the World Bank to grow by an average of 7 percent between 2017 and 2019. Last year, GDP rose by 6.5pc. That’s among the fastest growing economies in Asia, alongside the likes of India, China and Vietnam. RISING NUMBERS of people travelling across Myanmar would brighten the future of tourism start-ups, said Nyunt Win Aung, co-founder and chief executive officer of GoP Tour. The Central Committee for Reviewing Confiscated Farmlands and Other Lands held a meeting yesterday at the Ministry of Home Affairs in Nay Pyi Taw. Following Cambodia and Laos, Myanmar has become the next destination for revolutionising music consumption. The Nyaung-U airport in Mandalay Region will be upgraded into international airport soon, with the support from the Japanese government, U Ye Htut Aung, deputy director-general of the Department of Civil Aviation (DCA) told The Myanmar Times on August 28.